A convent and a school were built in 1938 by the then pastor, Fr. Edgar Barrett, O.F.M. By the time that Fr. William Hayes, O.F.M. arrived in the parish in the mid-fifties, plans were being formulated for a new church, an addition to the school and new friary. It was also during Fr. William’s tenure that the friars first became residents of Ridge-Wood (formerly they resided at St. Joseph’s in East Rutherford). The first friary was the old Goerner house at Second Street and North Avenue. 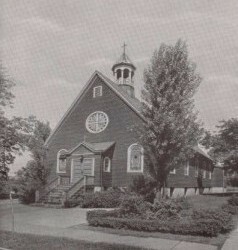 The growth of the town necessitated a new and larger church which came into being in 1958. By September, 1965 an addition to the school was completed and right after that a new rectory. The parish continued to flourish over the next four decades building a full sacramental, community ouitreach and social events life involving all generations fo parish family members. 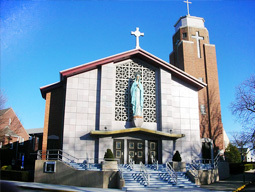 After the Great Recession of 2008, enrollment in the parish school declined resulting in the closing of the school by the Archdiocese. Saddened by the loss of their beloved school but determined to look to the future, funds from the sale of the school were re-invested in the renovations to church and parish hall. The construction of a garden, offering several varities of roses, evergreens, seasonal flowers, handmade bird feeders, an almost life-size statue of St. Francis and a koi pond with waterfall made possible through a gift from parishioner Richard Taylor and dedicated to the memory of his wife was built on the site that housed the pre-K program playground. 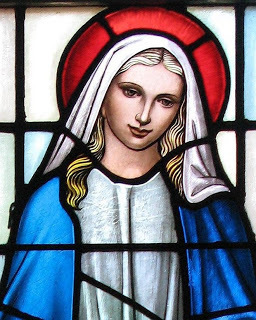 Assumption has always been blessed with loving, giving, spirited parish family members who serve their church and community freely and frequently. Both today and our future of our community will be nothing less than amazing!